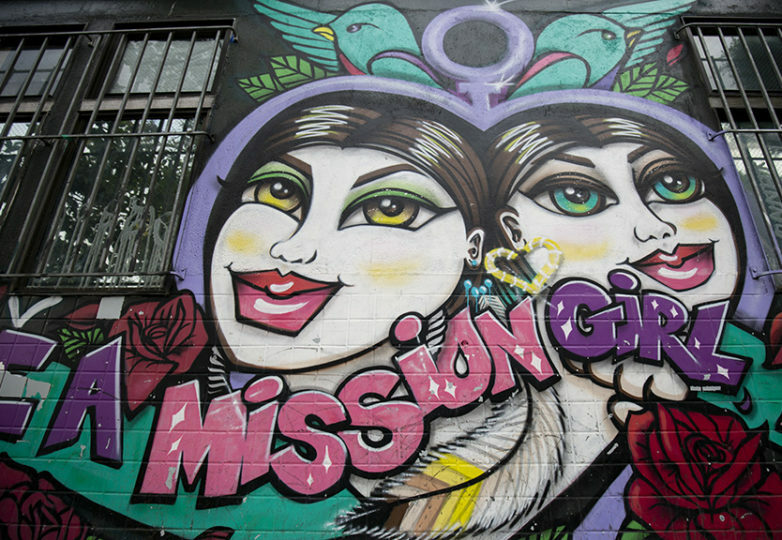 Graffiti—a long-vilified form of art and medium for political commentary—has been historically dominated by male power, but a crew of artists based in the East Bay is working hard to change that. 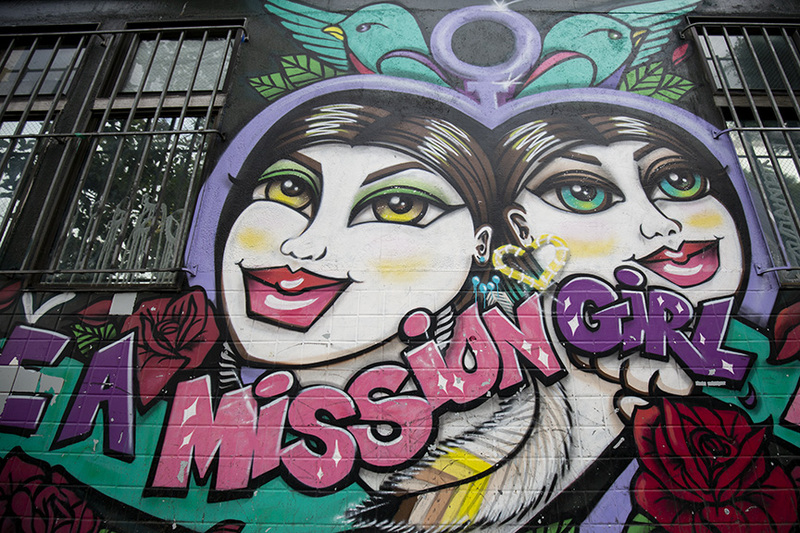 Few and Far, the West Coast’s first all-woman graffiti crew, has fostered a bond of sisterhood that spreads far beyond the coast, across multiple continents. 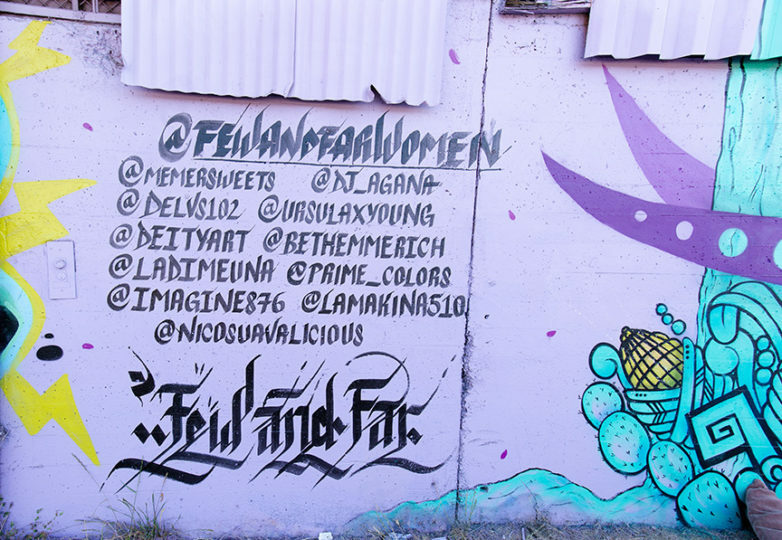 “Few and Far crew is a group of women who get together to paint and create public art around the world, with a shared commitment to promote female empowerment, social justice and the strength of women,” said Ursula Young, a 44-year-old member of the crew originally from England, but now living in Grass Valley. Young joined the crew after helping paint a mural in Sacramento as a Few and Far guest artist. Heralded as one of the elements of hip-hop, graffiti art or “tagging,” when done without permission, is considered vandalism. One night in 2011 Meme got a wall in West Oakland and invited a bunch of “badass women” to paint. 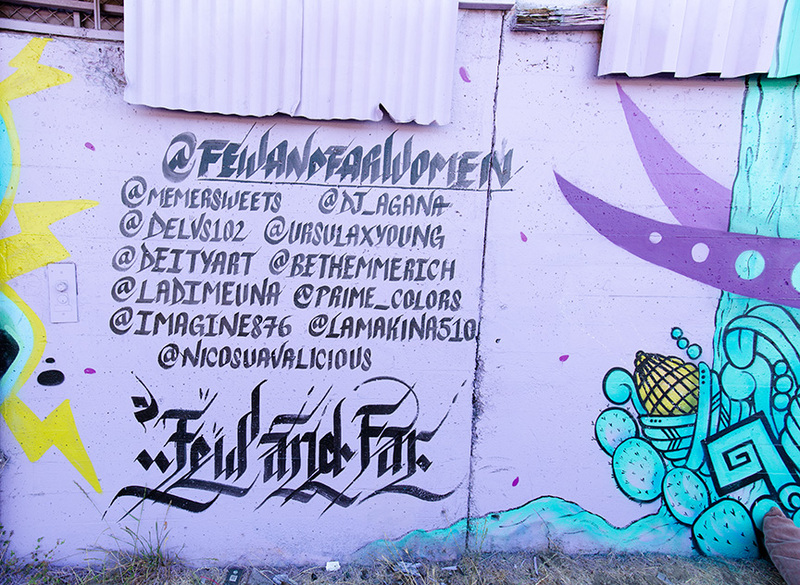 One of the women, an artist named Mila from Australia, wrote “Few and Far” on the wall, and the rest is history. The original and largest female crew on the West Coast had made its first mark. 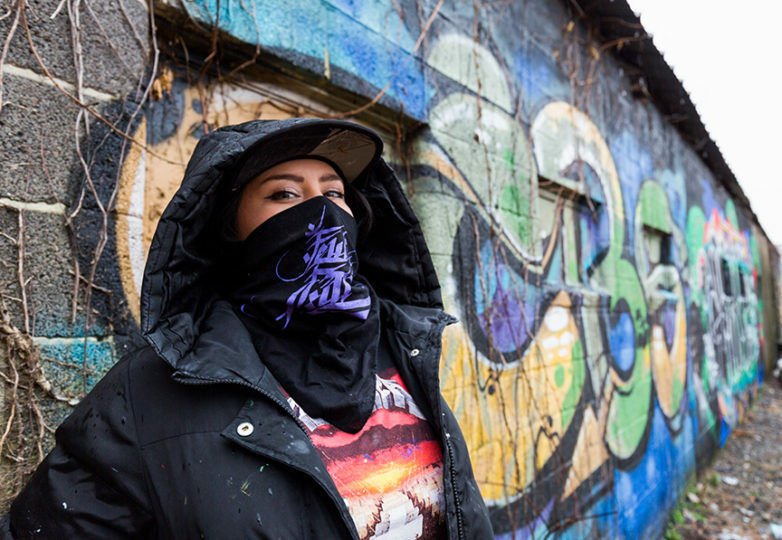 Dime is a 31-year-old Xicana and fourth-generation artist from Oakland, who was one of the first members of Few and Far. 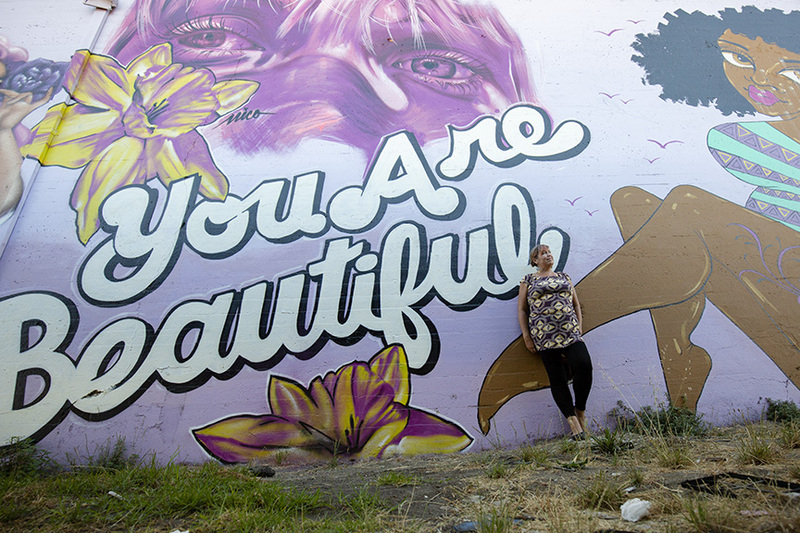 She has been painting murals and doing graffiti since she was nine. 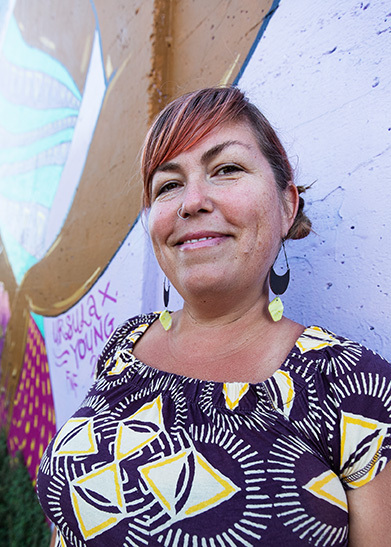 Currently based in East Oakland, she is a mother of two boys and a cultural worker at East Side Alliance as well as an artist. 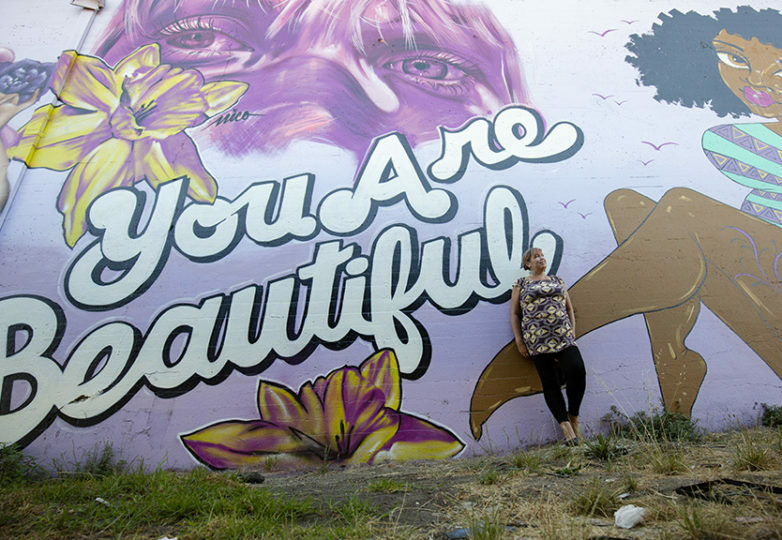 She is a self-described art-tivist and grafitera, who says she enjoyed seeing “local neighborhood tags” growing up, but not the violence associated with them. Coming up, Dime also found herself the only girl painting with all guys, yearning for a connection with other female artists. She remembers the night she first met with the other women that would soon be known as Few and Far crew. The women of Few and Far, rather than competing, work together to show the world that women are stronger when unified under a common goal, to help others and create art that sparks change and social justice. 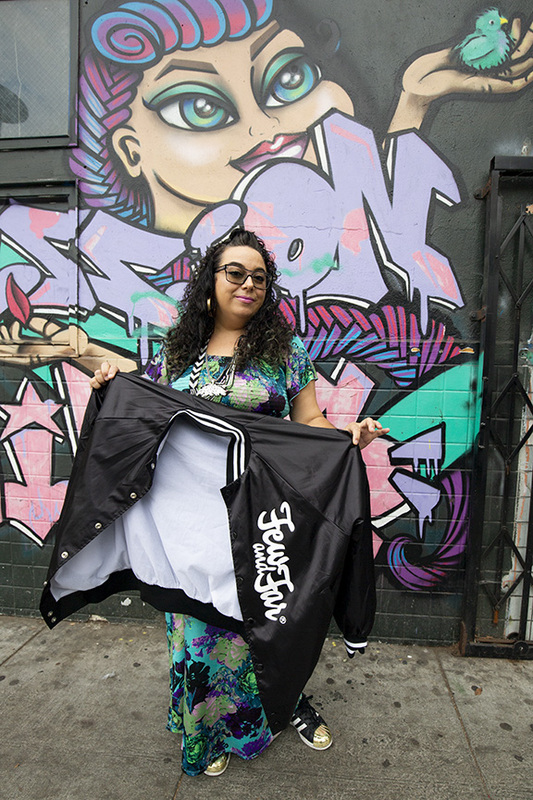 All of the women in Few and Far are role models who work hard to beautify their hoods and make positive change within their own communities and beyond. Agana—a 35-year-old graffiti artist, DJ and mother who lives in Richmond—is also one of the crew’s original members. She began tagging at the age of nine. 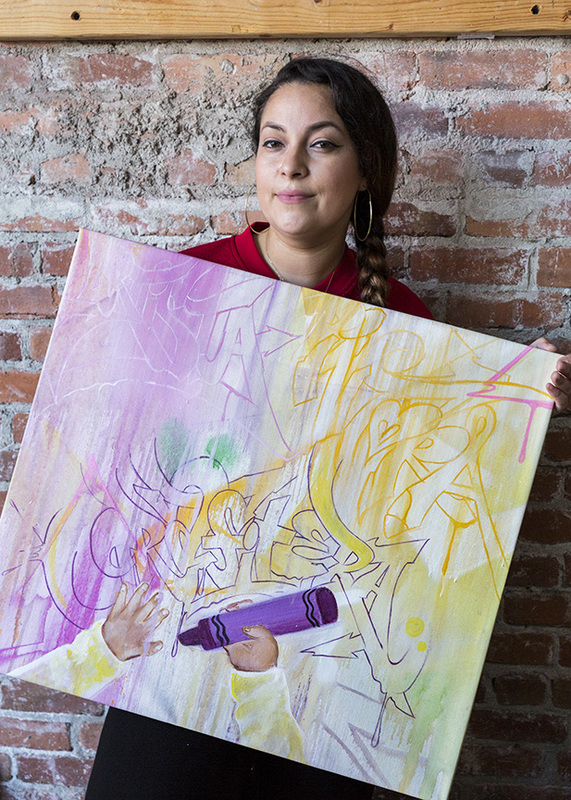 She’s gone from being “hood-famous” to live painting for TED Talks, and she now spreads her knowledge to empower youth, teaching the art of graffiti to kids in her community. Agana has witnessed Few and Far earn respect from their male counterparts.